We provide quick-turn prototyping services and can deliver within 24 hours. Our plant is capable of working two shifts 7 days a week. From the time you send us your files we work around the clock to meet tight deadlines. We ensure that there will be no foreseeable problems with the build by conducting engineering reviews before we commence work. We have flexible options for parts procurement. You can either choose to kit your parts and courier them to us. Alternatively we can use our many years of experience sourcing parts to bring you added cost savings. Our Production and Quality Control Department work hand in hand to audit all parts received and set-up for efficient process flow. We have the latest machines for placement and soldering, meaning over 80% of the work flow is automated. 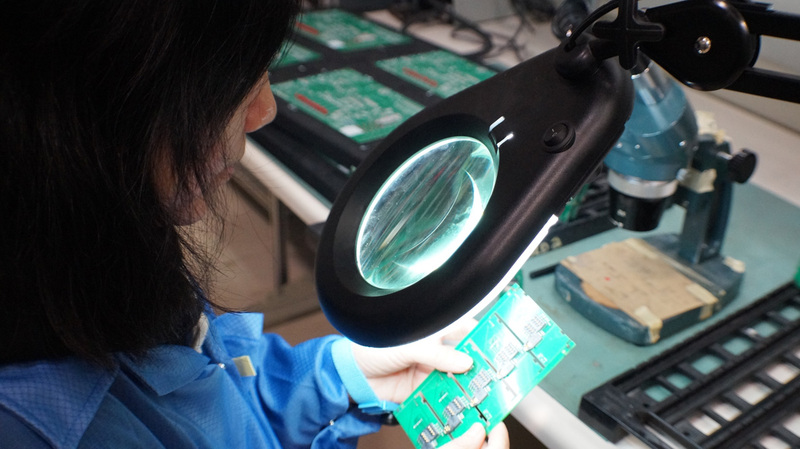 All parts are inspected and tested by accredited quality control personnel. Documentation is simultaneously generated and parts are packaged and shipped out. If we tell you we can build it within 24 hours we will. You can expect on time delivery every time.